Knit By God's Hand: I'm a Dancing... dancing... dancing... dancing machine!!! I'm a Dancing... dancing... dancing... dancing machine!!! For those of you that got a Wii for Christmas, you've either seen me drool over your console, or you've heard me whine over your blog or Facebook that I am nothing but jealous. Then last night, the greatest thing happened... in walked my husband through the door. NO - that's not the greatest thing that happened - he does that everynight. But he walked in carrying a bag... & inside that bag? 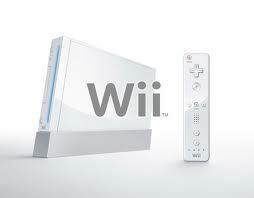 A Wii!!!!!!!!!! um... hello? I've had drool hanging from my chin for awhile over wanting one... of course I wanted it. (You should see me attempting this move... We stand at what? A 90 degree angle? This morning, as soon as my eyes opened, I said, "I dont want to work today - I just want to dance to Michael Jackson"
I told him about the songs I kept playing over & over trying to get them down & he was like "Whew!!! I thought I was dreaming you were dancing to Michael Jackson"
Hahaha that sounds like so much fun! As a family we love Wii resort! lots of fun games we can all play together on it! I just got Zumba for Christmas. I hear it is fantastic but I am waiting to break it out when everyone is out of the house and i won't be subjected to teasing! ha! We also have Boom Blox, which is really fun to play as a group. Too funny! Just wait until you guys start recording each other! My dh snuck in and recorded me doing the Russian dance on Just Dance 2. I suspect the footage will be used as bribery somewhere down the road. Just Dance 1 & 2 for sure....the Russian dance is my favorite becauseI did mission work in Russia and know how to actually do those moves so I kick tail on that song only! I would suggest Mario Kart as well....it is highly competitive, addictive & fun! Great for when you have company of any age over as well. Okay, I'm going to go ahead and tell you right now that I am an expert at the Thriller dance. I know it by heart. I had to learn it for dance class years ago and break it out every now and then :) haha. 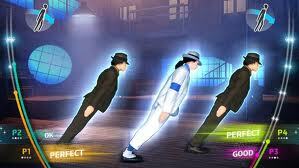 I had no idea there was a Michael Jackson Wii game. This changes everything. I'm so happy for you! You will LOVE Wiiiiiiiiii! I had no idea that game existed! I'm going to need to see it! Hahaha I can just see you bustin'-a-move with your Michael Jackson moves. You are too funny!! I don't own a Wii. So I am NO help in the ole game department. Games? Uh, I think I'm still deciding, but I know Wii resort was a lot of fun when I played it at a friends house. Other than that, I've just stepped into this world, so I'm not much help. We HAD a Wii, until the boys switched it out to an X-Box 360 last year. I could've killed them! I'm looking at getting a Kinect. I so want on also.. Maybe some day.. Sorry I left you wondering about me.. I will post more next week..
"Ever see a feather coat?" I Heart Faces... VOTING OPEN!